Recently Portugal is best known to the world for its all time great soccer player Cristiano Ronaldo. But it has long been a famous destination for tourists like other European countries. Portugal is one of Europe's most visited countries due to its idyllic climate, affordable travel costs and exceptional attractions. I am going to share one of the best places to visit in Portugal. 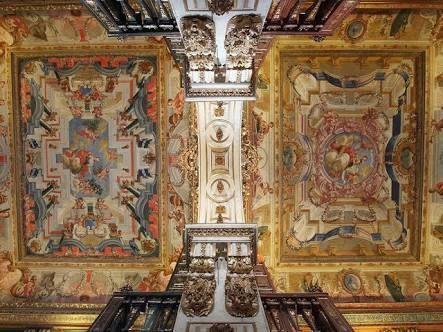 The place that attracts my eyes after years of searching is COIMBRA. Coimbra, a river front city in central Portugal and the country's former capital, is home to a preserved medieval old town and the historic University of Coimbra. No trip to Coimbra would be complete without a visit to the University of Coimbra to admire one of the most beautiful libraries. Most of the things to see and do in Coimbra, and most of the places to eat, drink and sleep are within reasonable walking distance of each other and of the rail station in Baixa. Smaller shops, restaurants, and hotels are in Baixa and Santa clara. There is a wide variety of accommodation available, ranging from the camping park to the charming downtown hotels and international chain hotels. Piash is a keen writer from Bangladesh, interested in travel writing and with a great desire to visit Portugal.